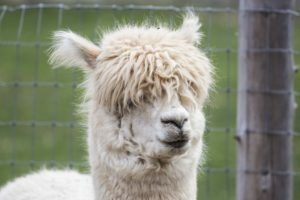 You are here: Home / Articles / What to Expect When You’re Expecting … Alpacas! 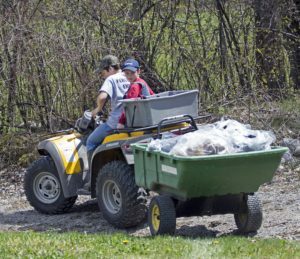 You may be a seasoned farm family, or a newcomer to farming altogether. Either way alpacas offer a completely new adventure. Having little in common with traditional livestock, these intriguing, fibre-producing animals come with their own learning opportunities and rewards. 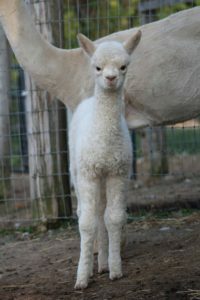 So what should you expect when you are expecting alpacas on your farm or rural homestead? You may be embarking on a large-scale livestock operation with a view to breeding and fibre production. Or you may be considering adding a few alpacas to your rural homestead as pet stock. In either case, this primer will pull back the curtains and tell you what to expect, help you to understand what to ask, where to find the answers, and prepare you to better to enjoy all that lies ahead with your herd. Much of what you are about to read has come from the questions we have been asked over the years by those that are getting started. Any one of these subjects warrants a text book of its own, but this should help you to find answers, know what language to use, and feel secure in knowing you are not the only one with these questions. Together, we have all found our way to answers. Let’s begin with what a year on your alpaca farm will look like. Every season brings its own activities and rewards. Spring is when all things begin on a farm. As the weather warms, your animals will be in full fleece from a long, cold winter and will have produced a beautiful crop of fibre that needs to come off before warm weather arrives. If you show your animals, you will proudly display them on the show circuit before shearing day and harvesting that fibre. 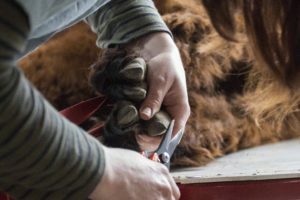 Shearing day is also herd health day when animals get a thorough looking-over, teeth and toes trimmed (if needed), annual vaccines, etc. Your fleece is sold or sent off to the mill to be processed into beautiful yarns and products. And then you begin keeping watch over your girls as birthing season is about to begin. As summer arrives, so do those cria. No season is more rewarding than birthing season, where the results of your breeding choices are revealed after more than 340 days of waiting. In very short order (15-19 days after birthing) you put your breeding plan into effect and begin breeding open females for the coming year. You are watchful over your pastures, rotating grazing and ensuring that this valuable resource and food supply is preserved. Your supply of hay will arrive for the season (second cut) from your hay supplier, or you may be busy cutting, baling and bringing in your own hay. And with every season comes another thorough check of the herd for health-related issues. As autumn arrives, your cria are thriving, your pregnant girls have been confirmed bred. You look to any repairs that need doing around the farm or property before winter arrives. Heated waterers are in place and at the ready. Pastures are closed or limited as the autumn rains arrives, ensuring pasture conditions remain prime at this vulnerable time. When the chill of winter arrives, your alpacas will be quite self-sustaining, enjoying the cooler weather. You will re-open pastures once frost arrives, even top dressing some with manure to fertilize over the winter. We feed hay on the fresh snow through the winter to frost seed the pastures the following spring, ensuring lush growth. And while all else on the farm is quiet, this is often when farms catch up on record keeping, developing their breeding plan for the following year, and researching acquisitions or even the prospect of starting a farm. And that is when the calls often begin at our farm, with newcomers and others learning more about alpaca farming or available livestock. The first advice we offer is to build your farm network. Sounds simple, even cliché, but that strong network of others who are raising alpacas will serve you well over the years. Together we learn from one another, so while you may be reaping the rewards at the outset, over time we all give and take our share of knowledge. 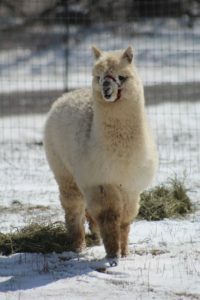 In Ontario we have a strong network of alpaca farms amongst the Alpaca Ontario (www.AlpacaOntario.ca) membership. Don’t be shy. Pick up the phone or send an email to a nearby farm and get started that way. They will likely refer you to other farms in the area that you can visit or who will be helpful to you in your initial research. And get in touch with a vet (large animal) who is well respected and ask him or her for contacts at farms in the area. As you build this list of farms, you have just created the most valuable tool you will need when you begin alpaca farming. Once you have found the farm you will be dealing with as you build your herd, what can you expect? First: honesty. Expect them to tell you the merits of their animals, and shortcomings of each. If they represent their herd as ideal, they are either afraid to share faults, or are “barn blind” as so many of us can be when we have raised an animal. Expect realistic evaluations of the alpacas they are offering. Expect a contract when you are ready to purchase that details everything you have discussed, including transportation of animals, live-birth guarantees, health warranties and assurance of title to animals just to name a few. Price and payment terms should be clear. You should expect to receive strong mentorship and support from that breeder after the sale right through your first year and all those “firsts”. If you have a reputable breeder, that support is critical. Llama and Alpaca Neonatal Care, Drs Smith, Tim & Long, D.V.M. Alpaca Field Manual, C. Norman Evans, D.V.M. Online resources: There are many. Start with those associated with breeder associations and veterinary colleges. And remember, just because you read it on the internet does not make it true! Use these resources to research all the subjects that follow in an in-depth manner over time, comparing advice, research and using that information to make your herd and farm management decisions. Now that you have bought your alpacas, what can you expect related to registration? 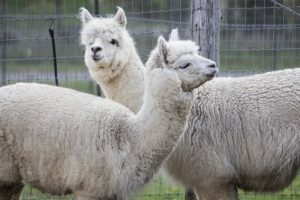 If you have purchased registered livestock, in Canada they will be registered with the Canadian Llama and Alpaca Association’s herd registry, www.claacanada.com. 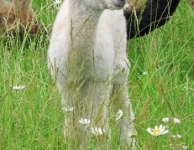 Visit their website to learn more about registering alpacas, breed standards, fees, etc. But rest easy. 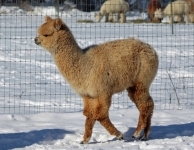 It is the responsibility of the seller to transfer ownership of your alpacas to you following the purchase. 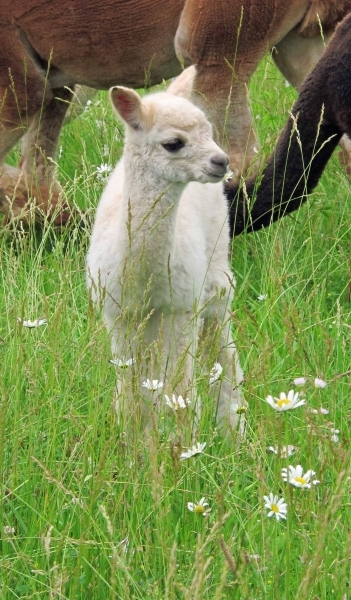 You will need to be proficient on registry procedures when your first cria hit the ground with you as the breeder. 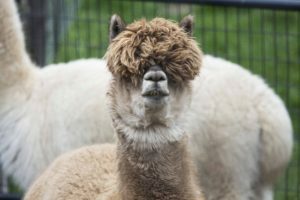 It will be your responsibility to get the alpacas registered (if you choose to do so) or to transfer the registration of any alpacas that you may sell. 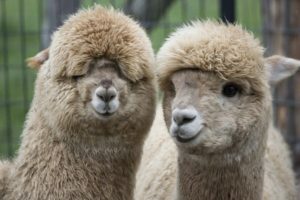 You may have “dual registered” alpacas, meaning they have been registered in both Canada and the U.S., in which case you will also be dealing with AOBA (www.alpacainfo.com). As you prepare to bring your alpacas home, what are you expected to feed them? There are 4 main elements to alpaca nutrition: clean water, pasture to graze, hay (forage), and supplements (pelleted feed). Clean water should be available at all times, year round, so in winter climates you will need to consider heated pails or other means to keep the water flowing. And when the temperatures rise, you may want to consider adding an equine electrolyte solution to their water, available at feed stores and tack shops. Pasture with a good mix of orchard and brome grasses are considered optimal for grazing, but read the literature and understand your soil conditions to offer the very best. And, if you can, establish a rotational grazing pattern so you can allow pastures to rest and recover, ensuring optimal conditions year-round. 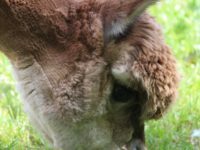 Alpacas prefer grasses before they get too lengthy or have gone to seed, so don’t be surprised if you have to mow a pasture occasionally to keep it trim. Be sure to keep that fleece away from timothy heads and burrs (thistles). And remember, your pasture offer both food and exercise year round. How much hay is enough? Well, 15 alpacas eat the equivalent of what just 1 horse eats in hay, so it won’t be as much as you might expect. We offer free-choice hay year round and go through about 400 small square bales for our herd of 20. Again, test your forage to determine its nutritional value. And to find your hay, work that network to see who is offering hay for sale. Then, don’t be shy about inspecting that hay to be sure it is fresh, sweet and grassy. Pellets are fed daily to supplement nutrients and balance their diet. Talk to your mentor farms to see what they recommend in your area. These pellets are sourced from a feed mill and delivered in large bags, so be sure to plan for the storage of feed and hay. In natural conditions, alpacas forage from the ground, so use feeders (we use drywall mud trays) that allow the pellets to spread in a shallow manner and place your feeders quite low to the ground to prevent choking. Some farms feed pellets once daily, others twice. The choice really comes down to how often you want to have that contact with your animals. What is expected when it comes to shelter? Alpacas demand rather simple shelter. When you visit farms, you will see a range of luxuries, but the basic requirements are that you provide shelter from the wind, sun, rain and snow. This can be achieved with a properly designed and well-placed 3-sided shelter. Consider how air will flow through the shelter as this contributes to both health and comfort, providing ventilation and keeping the flies and other bugs at bay. Bedding is not a necessity and often not recommended, but you will need to ensure the area can be cleaned. And your shelter will also need to provide storage for their food and water supply, barn tools, tack and medical supplies (unless you intend to store these elsewhere). And give some thought to pest control (nothing that a good barn cat or two can’t handle). We are commonly asked, “do you have to separate males and females?” This question has implications for both your shelter and your fencing. The simple answer is yes. Males and females require separate stalls and pasture, and ideally even shelter. To control breeding behavior you will need to keep males and females separate once they reach sexual maturity, and ideally once they are weaned. If you can design your shelter in such a way that there is a visual barrier between the two, that will be beneficial during breeding season when hormones are surging and those girls across the fence look even more appealing. 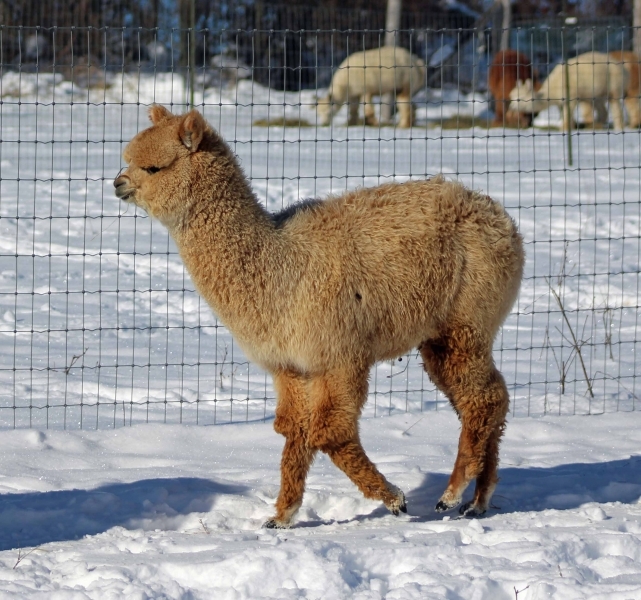 What should you expect to keep your alpacas secure and safe. Consider fencing to be your first line of defense and a tool to ensure safety. Boys will want to find their way to the girls, so fortify your fence between the two with a top line of 2×4 rail that will stop them when they jump up and prevent them from getting their legs caught. Beyond that, fencing is largely there to keep other animals out rather than to keep alpacas in. Being such a gentle herd animal, their instinct is to stay together, not to escape. There will always be one that is an exception to the rule, but you can expect them to be rather easy to contain. Five foot, no-climb, perimeter fencing is recommended. Others include a livestock guardian dog, llama or donkey in the herd. Expect to manage the additional risk that farm visitors, particularly strange dogs, can create for the herd. Rather you are expecting a new baby, or a new herd, you know that each come with the requirement to be well equipped. You will need tack for your new herd, including a halter and lead rope for each animal in the event that you might need to transport them. Good breeders will supply a halter with each alpaca. We like to throw in a lead for each member of the new farm family too. To source additional halters, your go-to is the internet. We have found Zephyr halters or anything sanctioned by Marty McGee Bennett to be optimal fit and function for alpacas. You will need only light lead ropes (even dog leads) for alpacas. Consider purchasing everything in black so you are ready to go if you decide to show your alpacas. Expect to have equipment on hand on shearing day rather you hire a shearer or do it yourself, including good scissors (I prefer titanium scissors found in fabric stores), a hoof pick with brush, good sharp pruners (straight blade to trim toes), a dremmel tool (teeth trimming) and a list of supplies (contact me if you would like me to share my checklist of equipment & supplies for shearing day). Your shearer should bring along the shearing table and shears. Day to day equipment includes shovels, rakes (Lee Valley Flex Rakes are particularly good for manure clean up), pails (regular and heated), barrels for summer water feeders, feed trays (we use drywall mud trays), herding sticks (simple broom handles), a wheelbarrow and a fencing tool (a great multi-tool available at all farm supply stores). If you like to track information or keep notes, consider a white board/bulletin board combination to make notes on the fly. Those are my “must-have’s”. Depending on the size of your farm and how you like to work, you may find a tractor (we have a small Kubota with a loader), ATV, small dump trailer and a few light livestock gates to be beneficial. 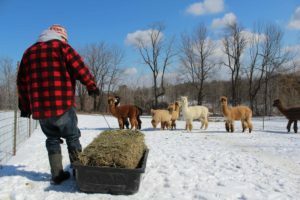 And if you plan to show or anticipate transporting your alpacas for breeding or other reasons, you may want a tow vehicle and trailer, or to establish a good working relationship with a farmer in your area who does livestock transportation. You can expect to stock a well-supplied barn for your herd. Check the resources listed above for comprehensive lists of medical supplies you will want to have on hand. Given how healthy alpacas tend to be, you may find those supplies go unused, but nothing feels better than being prepared. Consider stocking both regular medical supplies and a cria care kit to have on hand when those first little ones arrive. You will need a scale to weigh your cria daily (we started with a digital fish scale and cloth bag) and ideally a platform scale to monitor the weight of the adults as well. And day to day we would not be without a good pair of light leather gloves, strong & long UV-resistant zip ties, bungee cords (rubber ropes in various lengths with hooks on either end) and fencing staples. 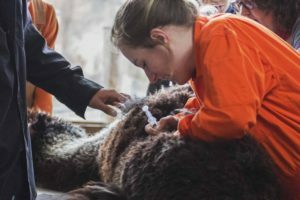 Though much is said about how healthy alpacas can be, be prepared by finding a good vet and building a relationship with that vet prior to the day you need him or her. It may be years before a visit is necessary, but that is not the time to introduce your vet to yourself and your herd. And consider establishing a quarantine area that can be used when new animals arrive at the farm or a sick animal presents itself. Having a place to isolate certain animals is useful in times of health as well. And as memorable as every moment is in those first few months and years, you can expect to forget the details over time. Record keeping is a critical component of herd management. We take a multi-pronged approach to it and have found that, in so doing, the information we need is always at our fingertips. First, you will find a calendar on the barn wall. We make it a habit to jot down any activity of note there no matter how rushed we are. I already mentioned the white board and bulletin board. 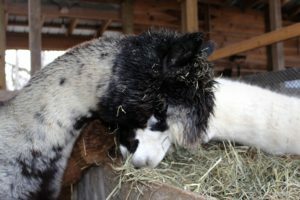 Here you will find reference information like who is bred to whom, due dates, cria weights, etc. And finally, I have a date book with daily room to record details and a full month view where I record any milestones or “to-do” items for that month (due dates, vaccinations required, etc). Again, depending on the size of your farm and complexity of your records, you may want to adopt an electronic herd management system. I would be lost without it. 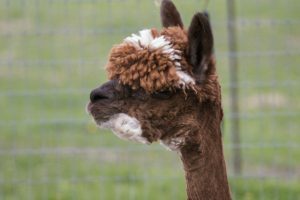 Though we maintain a herd size of approximately 20 alpacas, we offer breeding services and have seen 45 alpacas move through our herd since 2009 and sold many more on behalf of others. For us electronic records (we use Alpaca Ease) have become essential. You can expect that if you are maintaining a healthy herd comprised of males and females, that breeding and birthing will be part of your farm life. Here, I can’t emphasize enough the value of good mentors, good reference material (see above) and being prepared. If you do not intend to grow your herd, or do not enjoy marketing or selling livestock, then carefully consider the decision to breed. We have found the rewards of improving each generation, and helping others establish their herds to be very fulfilling. Be sure to study health considerations, genetics, pedigrees and the market to make good choices that will ultimately benefit the herd, your farm and your clients. “What can I expect to do with the fibre?” is probably one of the most common questions we get. The answer to this question has changed considerably over the past 8 years that we have been raising alpacas. The demand for good quality fibre has grown considerably in Ontario and the market is there to sell your entire clip (fibre harvest) outright if you wish. Given the demand for alpaca products, particularly locally produced products, many farms are now aggregating fibre and producing these products for rather sophisticated on-farm retail operations. This benefits both the market by satisfying the demand for these products, and strengthens the supply chain right down to the producer. 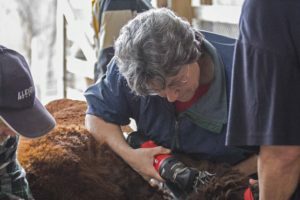 Fibre farming can be as simple as shearing and selling that fibre, or as hands-on as skirting, sorting, grading, milling and then selling those products yourself. Determine your passion, and then handle your fibre accordingly. 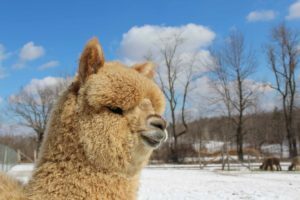 In addition to selling that fibre, you can expect to evaluate your alpacas’ fibre annually to give you information about the quality of the fibre they are producing and ultimately the health and quality of the alpaca. To do this, we collect a sample of each alpacas’ fibre on shearing day and send it to one of several labs for testing. 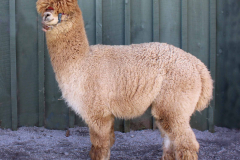 The resulting report provides a “micron count” and other details that provide very specific and useful information when it comes to selling that fibre and breeding that alpaca in the future. This is another place where electronic records become quite useful, to track those fibre statistics year over year. Some expect to show their alpacas and others not. For those who do, they can expect to attend Ontario’s spring show and several other summer and autumn shows if they so choose. The Alpaca Ontario show will be held in late April in 2017 in Markham, Ontario. It is followed by a series of smaller shows in Navan, Rockton and elsewhere from spring through to fall. And these are just the show opportunities in Ontario. Showing your alpacas can be done by yourself, or you can hire others to transport and show your animals. Your mentors should be quite willing to give you some pointers on training and preparing your animals for your first show. Shows provide more than ribbons. The comments of the judge’s are invaluable, helping you and others to objectively assess your alpacas. 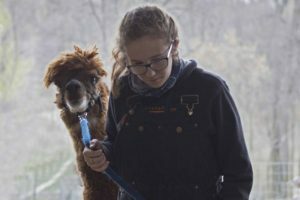 You are offered the opportunity to get hands-on with alpacas that are top quality, enabling you to learn and better evaluate the characteristics of your own herd. And it is here that you are able to further build your network of farm friends – priceless! Something you might not expect as a new alpaca farmer is education. There are opportunities to continue to learn about herd health, fibre and other key topics, each year. 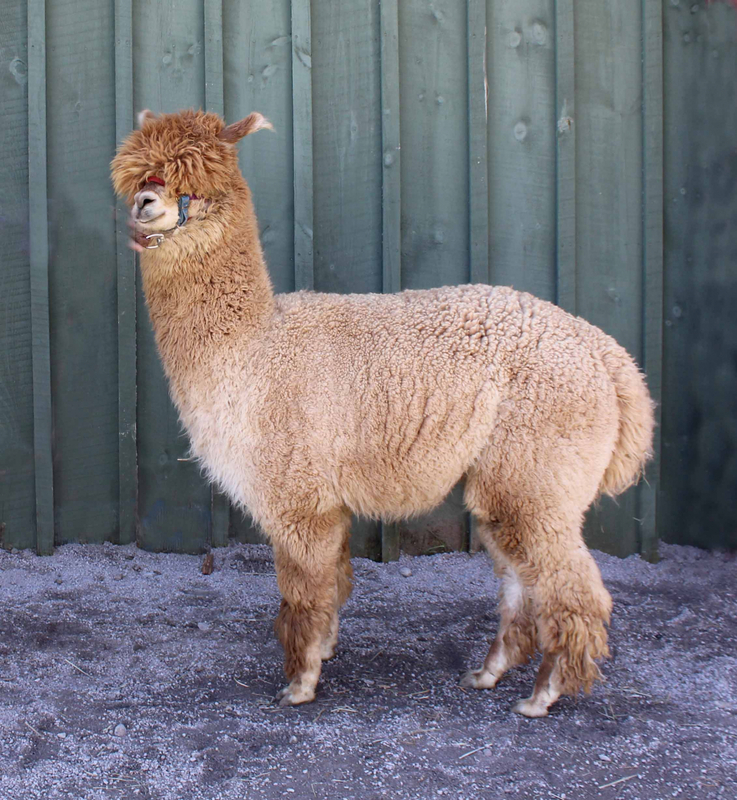 Alpaca Ontario presents educational seminars, webinars and events that are worth the effort and minimal expense to attend. (Check with the alpaca association in your area to learn more about the programs they offer). We encourage all newcomers and seasoned alpaca farmers to participate to learn and share their knowledge. Bring these opportunities to the attention of your vet and encourage them to participate as well so we can continue to build their body of knowledge and better enable them to support the health of our herds. You can expect to love your new farm family and farm lifestyle. We haven’t looked back, despite personal challenges that would have turned some on their heels, but the simplicity of raising these lovely animals puts all life’s other challenges in perspective, and roots you to the ground in a way that gives you purpose. That said, we all need a break from time to time. So be sure to build a support system, even of local teens, who can tend the herd while you take a break. Farm sitters are a part of any healthy farm life. Find them, feed them, and foster them. As I write this article, I have had my feet up camping for a week while our wonderful Amish neighbours tend the herd. Finally, expect to love it! 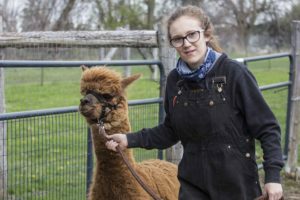 Raising alpacas is peaceful, purposeful and promising as their popularity grows in the farming community and the demand for their fibre increases. Originally published in the September 2016 issue of Camelid Quarterly. A special thanks to the editors for their permission to reprint.